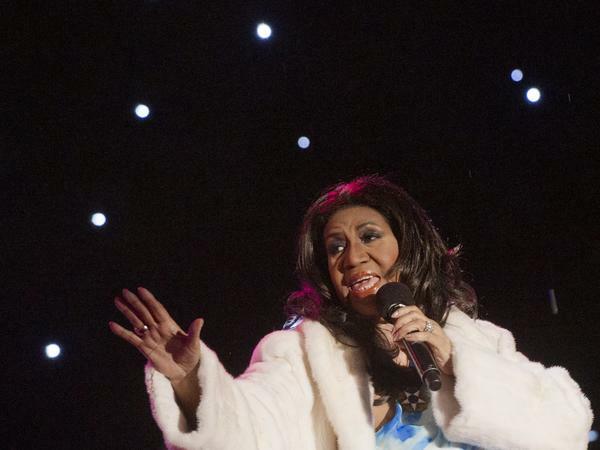 Aretha Franklin performs at the national Christmas tree lighting ceremony in Washington, D.C., in 2013. Franklin died on Thursday in Detroit. Aretha Franklin's voice is the voice of America. No other contemporary artist embodied the nation's brash optimism with as much flair, nor exemplified its sorrow-forged resilience as convincingly. No one better expressed American joy. Her murmurs gave shape to a sensuality that defeated repressive moral codes and replaced them with the commandments of tenderness, of sweet bitter love. Her high notes made hope happen. When she sang, we remembered that we could walk on the moon. Franklin, who died Thursday at the age of 76, was a child of the African-American Great Migration that created our nation's version of modernity and of the golden age of gospel that formed the fundament of rock and soul. Her music did the crucial work of art in the 20th century: It captured the experience of living through profound change and showed how to preserve integrity in its wake. She was a central player in the civil rights movement, American democracy's fundamental historical struggle. The key words in Franklin's most famous songs — respect, freedom, the word chains turning in a deliberate slip of the tongue to change — articulate personhood by connecting the body to the mind, the feet that wander to the arms that hold loved ones close. And the voice that echoes in our memories, from its belly growl to those heaven-hitting squalls, embodies liberty itself. Fifty years after she found her sound on the breakthrough album I Never Loved a Man The Way I Love You, revisiting Franklin's deep catalog feels like falling in love with a friend long taken for granted. 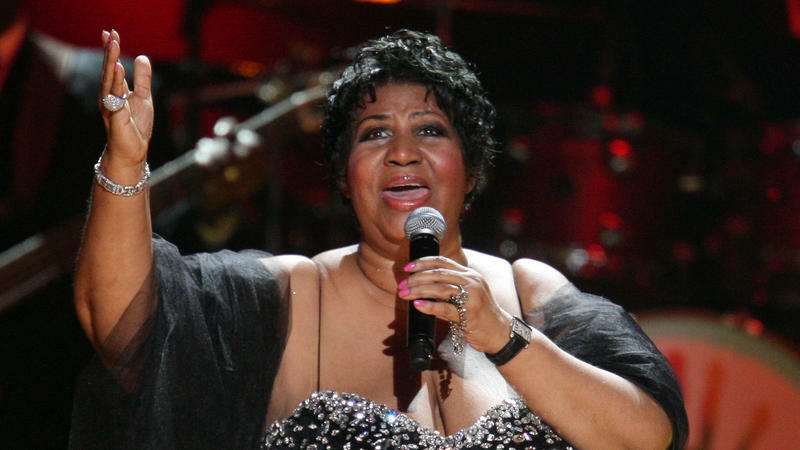 Since she became the Queen of Soul in the late 1960s, Franklin's music has been ubiquitous. It has been sung at marches and political rallies and in churches, but equally important is its presence on the jukebox in chain restaurants, at climactic scenes in sitcoms, and at every karaoke session a bridesmaid has ever drunkenly dominated. "She'll remind me of my humanity. What's essential in all of us," President Barack Obama, a major fan whose administration tapped Franklin for frequent public appearances, told The New Yorker's David Remnick when asked why he had included Franklin's music on his desert island list. Like the playwright August Wilson and the novelist Toni Morrison (she is still blessedly with us), Franklin was a figure whose presence and cultural work was firmly grounded in African-American experience, yet without compromise or corruption translated universally. Franklin's most obvious recorded legacy is the vivid bouquet of songs she recorded for Atlantic Records in the late 1960s, which made her a legend. Those songs – "Think," "I Never Loved a Man (The Way I Love You)," "Chain of Fools" and more, on essential albums like Lady Soul and Aretha Arrives — are as central to American music as "Appalachian Spring" or "Rhapsody in Blue." Their very titles revealed what they taught us. Just listen. Let Aretha tell you how to use your mind and access your soul; how to stand proud and still be generous; what it means to be natural. Her classics contain, as she sang in another song, from 1971, all you need to get by. The beginning of Franklin's journey toward stardom, under the tutelage of John Hammond at Columbia Records, offers another set of lessons, this time in adaptability, elegance and craft. These sides have grown in stature since the 1970s, when they were overshadowed by Franklin's crucial work with Jerry Wexler at Atlantic. Fans have sometimes heard too much restraint and compromise in efforts like 1962's album The Electrifying Aretha Franklin. Reconsidered, these early recordings offer a lesson in the basics of American pop. 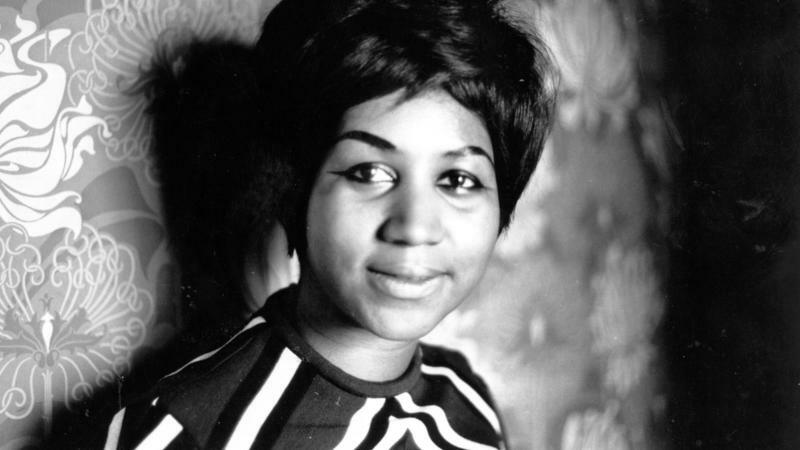 Culling from jazz, blues and girl-group R&B as well as her gospel base, Franklin became a master of refined phrasing and measured sweetness, qualities that later complemented the gut punch of her melisma and her gospelized flourishes. In these first pop efforts, she learned the versatility that would allow her to pinch-hit for the indisposed tenor Luciano Pavarotti decades later, delivering an unforgettable rendition of the aria "Nessun Dorma" at the 1998 Grammy Awards. The depth and range of Franklin's catalog has allowed for many revivals of interest; lately, many younger fans have been taken with her early 1970s albums. The songs of that period — right after her chart triumphs made Franklin one of the era's most important cultural voices — suit our time, too. They are adventurous but sometimes heavy with grief and questioning, representing a fractured moment marked by cultural experimentation and political divisiveness. This phase of Franklin's life brought deep sorrows, chief among them the assassination of Martin Luther King Jr. in 1968. But, possibly heightened by her need to cope with personal burdens, Franklin's creative impulses were running high. In 1972 Franklin gave the world Amazing Grace, a return to her gospel roots and a career pinnacle; this album remains the best-selling of Franklin's career and one of the most influential sacred music sets ever made. The year before, she released Live at Fillmore West, which still stands as one of pop's most memorable concert recordings. She also crafted two fantastic studio albums during this time. Young, Gifted and Black takes the emotional risks of albums by singer-songwriters like Joni Mitchell without compromising Franklin's accessible frankness and warmth. Spirit in the Dark channeled her grief over King's murder and the anxious hope that came after the dissolution of her rough marriage to manager Ted White to make a statement that truly turned the personal political. One song from that album could serve as Franklin's own greatest memorial. "The Thrill Is Gone (From Yesterday's Kiss)" reinvented a blues standard as a liberation cry. Part jazz lament, part rock and roll primal cry, Franklin's version of the much-covered Roy Hawkins classic goes so far as to interpolate King's famous "Free at Last" speech — it's that daring and that spacious. Yet her interpretation is also so intimate, crawling into the corners of baffled disappointment that threatened to defeat the heart at times of great loss, then bursting forward with the determination that was so central to Franklin's gift. On this song, Franklin displays the strength that her music asks us all to cultivate, which doesn't come from privilege or therapeutic processing but from the knowledge that going on is a requirement. 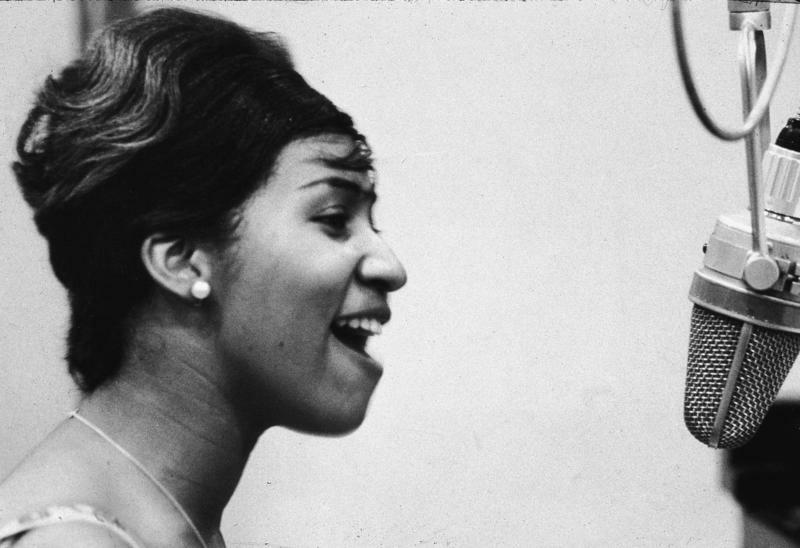 In her songs, Franklin always advocated for survival, and more than that, the will to thrive. This is what made her music political — what her friend Barack would later call the audacity of hope. It's folly to insist that one Franklin song, album or era supersedes any other. Each contributed monumentally to our understanding of what music can do. She had her fallow periods. 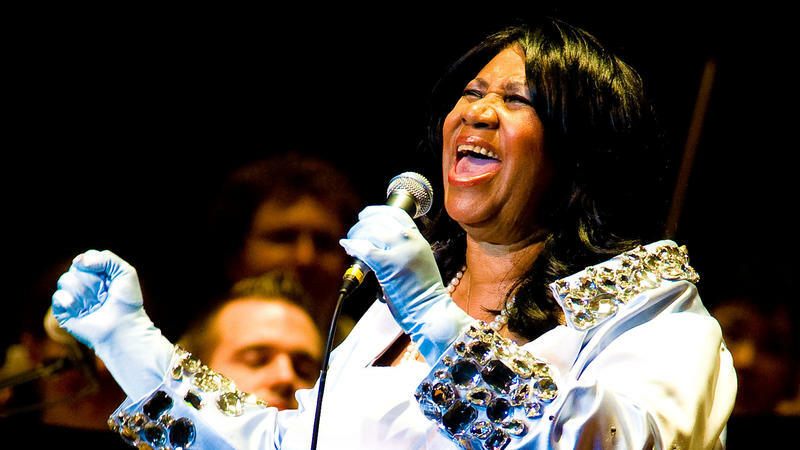 But from her emergence as a young woman carrying her father's ministry into the secular world, through the glory days and the more trying times, and into her last years, highlighted by her relishing the role of democracy's Queen Mother during Obama's music-rich tenure, Franklin remained essential to the American musical landscape. Fulfilling the legacy of the exodus that brought her family from rural Mississippi to industrial Detroit, Franklin journeyed over many boundaries, always carrying along her own home truths. "My soul looks back in wonder, how I got over," she often sang, returning to the gospel classic bearing that title, which she recorded on Amazing Grace. That song, equal parts pain and joy, holds the story of her life. Franklin's successes after she had settled securely into her position as the Queen of Soul showed her enduring genius for getting over. The 1980s saw her gaining chart success through collaborations with neon-suit-clad soul innovators Luther Vandross and Narada Michael Walden. In the 1990s, she tested the waters of hip-hop soul with help from Lauryn Hill. She continued matching wits and voices with her inheritors, including Fantasia and Mary J. Blige, as she moved into the last decade of her life. She also basked in the honors she so richly deserved — a Presidential Medal of Freedom, a Kennedy Center Honor and an honorary degree from Yale University crowded the shelf that already held dozens of other awards. Her relationship with the Obamas reminded the public of her brilliance and her relevance. She even experienced going viral, when the hat she wore to sing at Obama's first inauguration became a meme, affixed via Photoshop to the heads of cats, heads of state and the Dalai Lama. It's fitting that the image securing Franklin's place in the social media age showed her wearing what African-American church ladies call a crown. The then-64-year-old Franklin's performance of "My Country 'Tis of Thee" on that historic day, though less widely celebrated than her fashion choices, stands as a powerful summation of what made her the American musician who stood for the best in our perpetually challenged democracy. Her vocal athleticism was no longer Olympian; instead of easing into her squalls and melismatic runs as she had in her glory, she did what she could with force and grace, holding every rough note, knowing her good-as-it-gets could still make a president cry. And in the first verse, she changed a key lyric: Instead of the stentorian "land where my fathers died," she sang "land where my father died." Omitting that "s," invoking the presence of her beloved, flawed, lost daddy C.L. Franklin, she illustrated the way American history comes to mean something for most of us — not through abstract connections or even difficult-to-preserve ideals but person to person, through stories told at the knee of a trusted family member, in the living room of a friend, at a doorstep where an impassioned stranger has knocked and shared news of a gathering, in a street where siblings and cousins and neighbors and new chosen family members have come together to link arms and protect each other and fight for the right to move forward. Despite what had to be her rage at the injustice she witnessed so intimately, Aretha Franklin found a way to speak to so many of us — really, all of us, if we'd listen — person to person, about her father, her family, her God, her loves, her ache, her grace. Reaching for the high note or the blue one, she anchored the American story in her own heart, and in ours.